When one thinks of Downton Abbey, the names of Julian Fellowes, Dame Maggie Smith, Hugh Bonneville and Michelle Dockery immediately come to mind. Right up there are the now household names of Laura Carmichael, Allen Leech, Joanne Froggatt, Brendan Coyle, Lesley Nichol and Jim Carter. 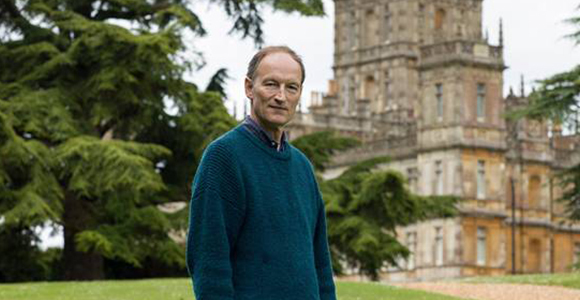 Probably the one with the least visibility who should get much of the credit for making Downton Abbey as it appears on your home telly is the series historical adviser, Alastair Bruce. As the individual in charge of both historical accuracy and etiquette on Downton Abbey, Bruce’s primary purpose is to make sure every period detail is spot on. IMAGE CREDIT: Photo @Nick Briggs_Carnival FIlms, Chocolate Media and Masterpiece. 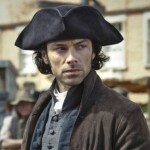 Now that his ‘official’ duties of ensuring that the inhabitants of Downton Abbey ‘mind their manners’ have come to an end (only for the time being, hopefully), Bruce is ready to ‘talk Downton and all that that implies’ during a whirlwind tour of a select group of PBS television stations in America over the next several weeks. Criss-crossing the U.S., Bruce’s first stop will be in support of Milwaukee Public Television this coming Sunday, November 15. 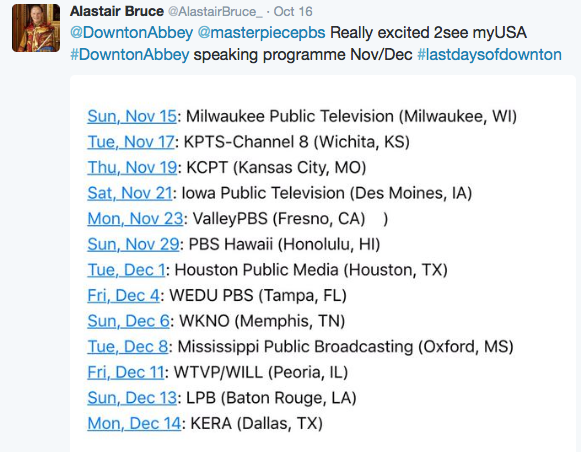 His month-long tour of ‘talking Downton’ in the States will conclude on Monday, December 14 with Downton Abbey fans from KERA in North Texas. Over the course of the six series, Bruce not only advised on the minutiae of early 20th century protocol, in such subjects as dress, posture and the serving of food but also on matters that might initially appear trivial, such as the use of vocabulary or the correct way to walk out of a car. It also should not be overlooked that every time the Downton Abbey credits roll, those are Alastair Bruce’s hands holding the ruler over the knives and forks on the table! How great is that! Prior to his ‘Downton duties’, you will, more than likely, also be familiar with Mr. Bruce’s work as the military and ceremonial adviser on The King’s Speech and historical adviser on The Young Victoria. While you see his work every moment that Downton has been on the air for the past six years, you probably aren’t aware that you have seen him as a ‘supporting artist’ on the series. 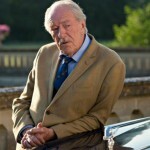 In the first series, in 2010, Bruce played a butler for the Dower House, where Dame Maggie Smith lives as the Dowager Countess of Grantham. 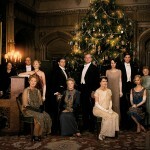 In the second series, Bruce was in the car beside the General visiting Downton Abbey during the First World War and then returned as a guest for the Downton shoot in that year’s Christmas Special. For series 3, in the Christmas special shot at Inveraray Castle in Scotland, Bruce was disguised with an incredibly itchy beard and acted as the river ghillie and stalker for the Duneagle Estate. And, in the 2013 Christmas special, Bruce played the Lord Chamberlain to King George V in the scenes where Lady Rose is presented at Court. Aside from the protocol of why unmarried ladies would come down to breakfast while married ladies would have breakfast in bed, let’s hope that Bruce will delve into the deeper, more pressing period issues of the times such as what life would have actually been like for Tom Branson (Allen Leech), with his Irish Republican background and driven by Roman Catholicism, coming to England during a time when Irish-English relations were not good or what it would have been like for Jack Ross (Gary Carr) to have been black in 1920’s England, especially a black crooner performing in the clubs of London. If you’re in the general area of one of Alastair Bruce’s stops, it’s best to give the station a call for time and venue information and see if any of the coveted and limited tickets remain. Welcome to America, Mr. Bruce. 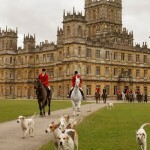 What lies ahead for ‘Sherlock’ and ‘Downton Abbey’? 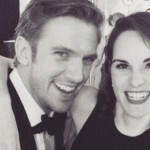 Downton Abbey 6 – It’s time to say goodbye…almost.